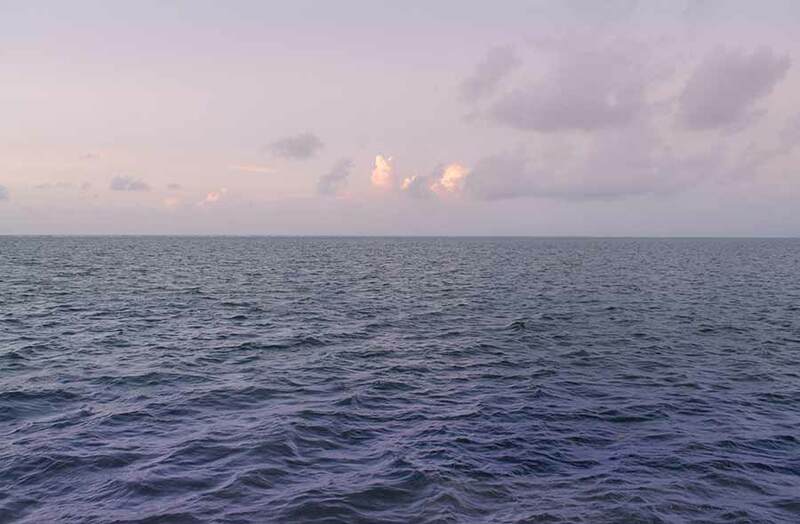 Belize NMS: Relatively moist and warm conditions prevail. 24-hour forecast: Cloudy spells today and tonight. A few showers and isolated thunderstorms will develop mainly over the south, coast and some northern, inland areas this morning, then decreasing this afternoon. Showers will return over the south and coast tonight. General Outlook: A few showers and isolated thunderstorms will affect the south Thursday morning, then become isolated. Showers and thunderstorms will re-develop thurs night over the south and central areas. Today 10-20 kts Choppy 3-5 ft A FEW SHOWERS AND ISOLATED THUNDERSTORMS, MAINLY SOUTH, DECREASING. Tonight E-NE 10-20 kts Choppy-Moderate 3-4 ft A FEW SHOWERS AND ISOLATED THUNDERSTORMS, MAINLY SOUTH. Tomorrow E 5-15 kts Choppy 3-4 ft A FEW SHOWERS AND ISOLATED THUNDERSTORMS, DECREASING. Outlook E-NE 10-20 kts Choppy 3-5 ft A FEW SHOWERS AND ISOLATED THUNDERSTORMS, MAINLY SOUTH. On Ambergris Caye this morning the sea is calm and breeze from the East. Our expected high today is 88 f.
A fair amount of ITCZ activity all around at present, some over Mexico, a lot over Panama area. That TS has now decayed to REMNANTS OF DON as predicted, but the Pacific is still very active. That second area in the Atlantic I identified has not developed, so presently, no storm risk to us. There are patches of cloud in the Caribbean and a swell-up down south, resulting in patches of rain coming over any part of Belize, not a lot of rain, but some. 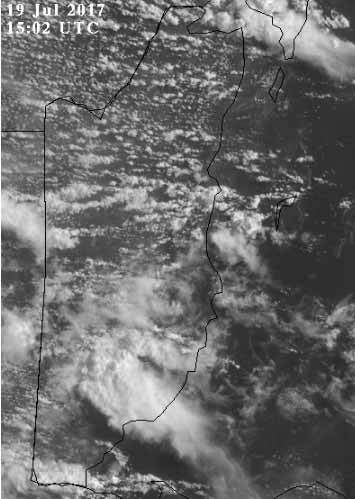 Looks like today will be fairly sunny, with clouds developing, some could cause rain patches. You can see the swell-up over Toledo and other heavier cloud causing patches of rain.